“While I was a full-time carer for my mother, my life was turned upside down and I was unsure what to do with what little time I had. Having suffered from a lack of support myself, I decided to look into volunteering opportunities in the local area, knowing that there are other people like myself who needed help. I searched online and found Volunteering Matters and the Clackmannanshire Befriending Project. The project works with some of the most isolated and vulnerable young people locally, including some children who grow up in areas of deprivation. I grew up in a poorer area myself and having been able to get out of the bad situation, I knew I could be a good role model. When things are going against you from the beginning you learn a lot about yourself and the world around you. I was invited along to the induction training and it really opened my eyes to some of the difficulties facing young people in Clackmannanshire. I knew there were issues but the numbers and statistics were scary. I quickly became proud to be a part of Volunteering Matters and the Clackmannanshire Befriending Project and the charity itself was great at making us feel part of the bigger picture. Volunteering Matters also have a very involved staff team to assist with any questions and they are good at emphasising and re-assuring volunteers that they are always just a phone call or email away. Eventually, I was matched up with a young person who is isolated. They were finding it hard to build new relationships and were not always able to get outside and experience normal childhood things due to some challenging family circumstances. At the beginning it was surprisingly easy to get along with each other and build our bond and relationship. Our first outing together was all about spending time together, hanging out and trying to form some good conversations. I am now three months into my match and we are having a lot of fun together. It is really rewarding giving a young person new experiences and coaching them along the way. I don’t think volunteers should ever underestimate how much of an impact you can have and how quickly a young person can look up to you. As a befriender, you have a lot of fun and get to act as a big kid yourself and get involved in so many different activities! Joining Volunteering Matters and the Clackmannanshire Befriending Project has been a great experience for me and it’s really amazing to see the affect it has on the young person and the family. 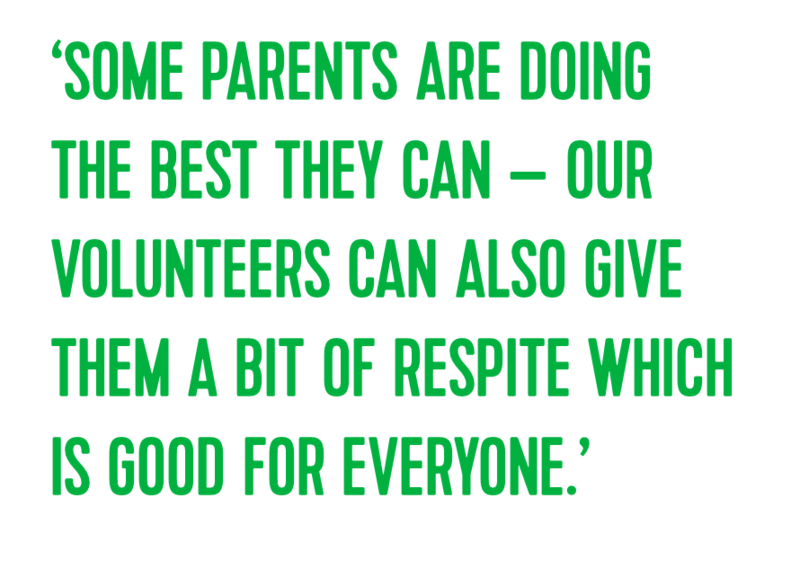 Some parents are doing the best they can; our volunteers can also give them a bit of respite which is good for everyone.